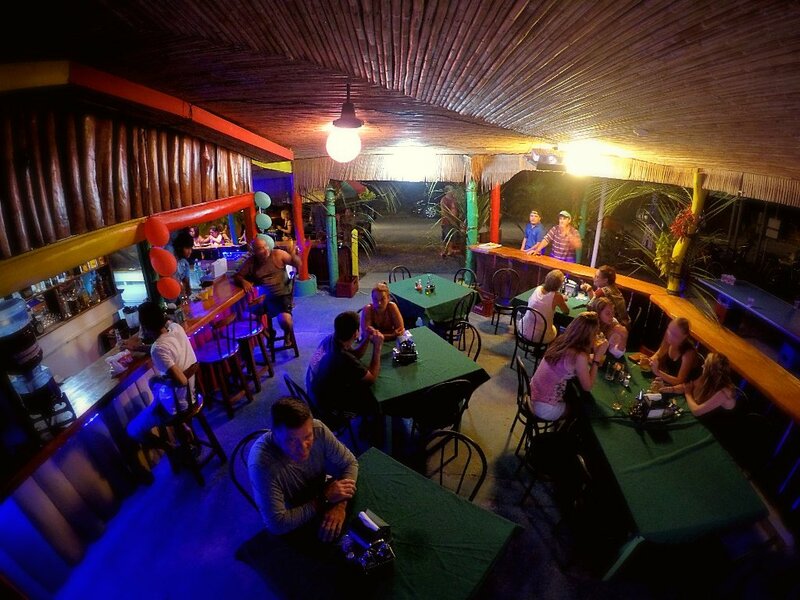 Coco’s Bar y Restaurante is a fantastic eating spot situated in Cahuita. The restaurant has room for every person who is looking for delicious dishes at affordable prices. It offers excellent breakfast, lunch, and dinner for all the locals and travelers. The menu has unbeatable foods, such as ceviche, nachos, Casado, beans, rice, Carribean chicken, patacones, fish and more. Given that the food is served in large portions, it is shareable in such a way that two clients can enjoy the same meal and still get satiated. Casado, a mixture of so many foods, is worth ordering for a group of friends. You can also order a plate of rice with beans as well as Caribbean chicken. This mouth-watering food is the typical Limon dish. For the most part, it is one of the best foods of the restaurant. Getting a plate of patacones and guacamole is a must, as well. Delicious tropical drinks are also available. For example, you can order smoothies, coffee, beer, or any other drink on the menu. 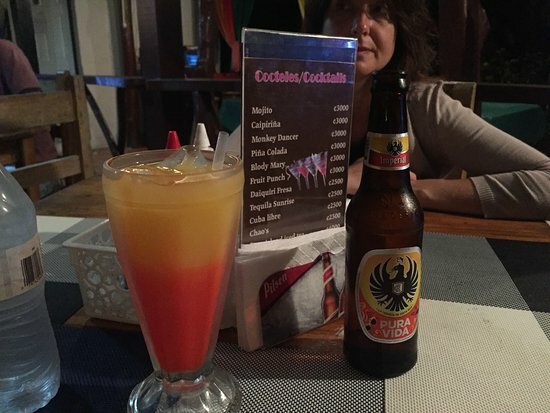 The tropical drinks are excellently mixed with lots of fruits. 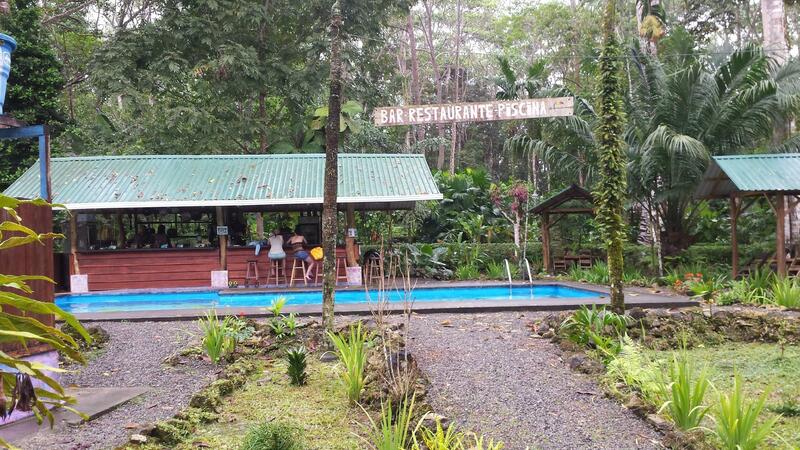 The restaurant is one of those spots with the best services in Costa Rica. No matter how busy the spot is, there is always lavished attention upon the clients. Even when the clients show up later while the spot is about to close, the staff is still willing to take them in and meet their needs. Then, the staff quickly gives them the menu and patiently answers any questions asked about the food; they are always ready to guide the clients in their choice of meals. Irie Vibes Bar & Restaurant offers a wide range of foods; aside from Costa Rican dishes, it also offers Caribbean and South American foods; it has veggies. 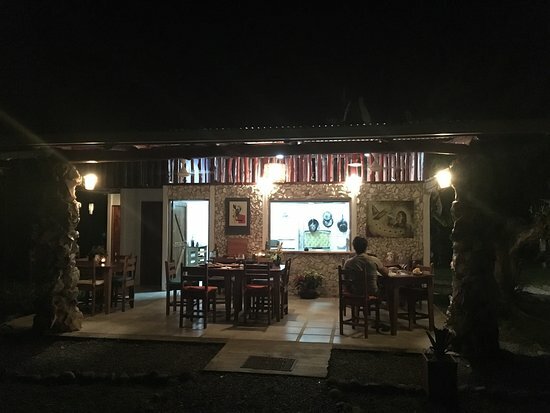 So, if you are interested in any of these dishes, you should try this restaurant in Cahuita. As you come from the taxi stop, you will find it around the National Park near the beach. The restaurant is also suitable for parties with with partners, friends and families. The menu is extensive. 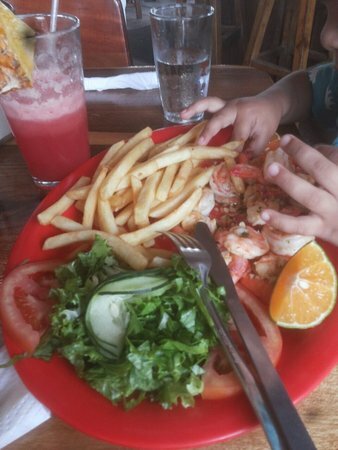 The food comprises of patacones, fish, sauce, shrimp, pasta, burger, casados—you can order grilled meat or fish; you can also have rice and beans; you will love plantain and salad. The restaurant has a lot to do with the culture given its offer of local food. You will love this food as it is wonderfully prepared. In addition, you can order delicious cocktails. You can also order a fresh lime margarita. Beer is also available. The servers are friendly and attentive to the clients. The owner is helpful. If you have no idea what you should order, he has great recommendations for you, thanks to his experience with delicious dishes. If you are a native English/Spanish speaker, you will love the fact that they speak English and Spanish with you. You will be delighted with their music videos projected on the wall. Though a lot of restaurants in Cahuita are overpriced, this restaurant is surprisingly affordable. You will love it for its great food and low prices. 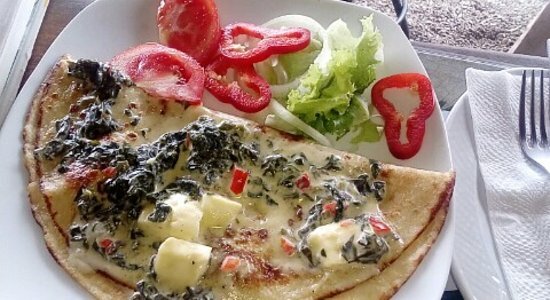 If you are wondering where you can have Italian food and the best pizza in Cahuita, Pizzeria Cahuita can meet your needs. It offers delicious foods. It is situated beside the beach. So, you can choose whether you want to eat inside or outside. As you are served outside, you will be greeted by the great ocean view; you will also watch the sun setting. Monkeys occasionally pay visit to the restaurant, too. The menu is vast. The food comprises of pizza, mushrooms, pasta, bruschetta, crust, cheese, etc. You will have a lot of options for pizza. It is wonderfully prepared to give you an indelible experience. No matter what pizzas you have eaten before; this restaurant is the best pizzeria. The pizza is perfectly crisp and thin. You might as well keep some pieces to eat as you leave. If you are a vegetarian, you can order cheese pizza, which is suited for veggies. It is very delicious, too. Because of its great taste, you may order some more of it. Pasta is cooked so well that it looks fresh on the plate. It is scrumptious. You can also try Gorgonzola; there is delicious spicy sausage, which is home made. Everything is impeccable; you will also love the first appetizers and the last desserts. As an Italian restaurant, you get wines typical of Italy. The servers are attentive to orders; they offer friendly services. The owner from Italy is very kind and hard-working man. With his family, he does his best to give you an unforgettable experience of pizza and other delicious dishes offered. Based in Cahuita, Villa Amapola is a restaurant excelling in Spanish dishes. It also offers French foods. So, if you are interested in any of those plates, Villa Amapola can satisfy your desires. The food can be best enjoyed with family and friends. The Spanish food comprises of sausage, holefish, paella. The food is cooked to give you a wonderful experience. There are additional flavors added to the food, which are so appetizing. These exceptional flavors are out of this world; the seafood is wonderfully cooked in an open kitchen; it is served nicely. For you not to miss out on your favorite food, you need to contact the owner in advance, so that he can know you are coming; he bases his menu on the reservations received. Because the owner loves what he does, this place is the main go-to restaurant in the area. Plus, you will love the Spanish dinner and the lovely desserts. The waiters and the owners deliver great services. They are kind, helpful and attentive to their clients. Because of the wonderful treat of the owner, no matter how far from the restaurant you live; you might need to go extra miles just to dine with him, thanks to his excellent cuisine. 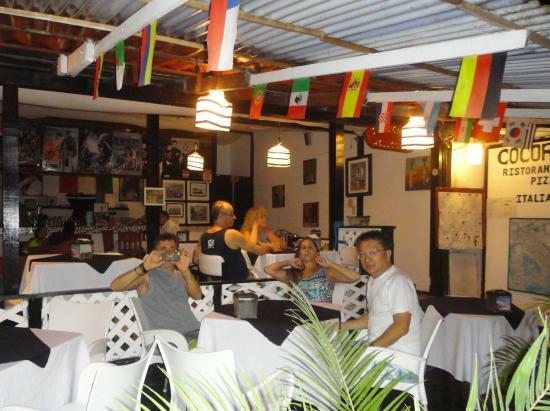 Situated in the center of Cahuita, Barakka Bistro is a completely different restaurant, offering European dishes. The food is so delicious that you might even skip some other restaurants to just come to this one. You will love so many things of the restaurant; with the surprises awaiting you, you will have done great by taking your partner, friends and family with you. The menu is small but filled with delicious dishes. The food comprises of pizza, pasta, soup, ricotta cannelloni, fresh fish and bruschetta, which is suited for veggies. You can also order beef tartar. The foods offered are so excellent that you might order more and more regardless of how large the portions—you may never have enough of it. There are great appetizers as well as delicious desserts. There are great beverages: you can order beer as well as European wines; you can enjoy natural juices, wonderfully squeezed right at the restaurant. 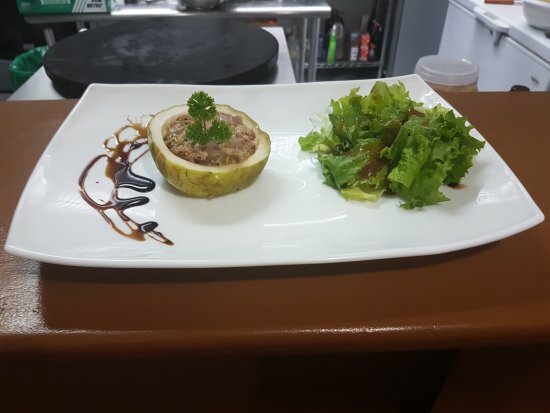 The servers and the owners care much about the client’s satisfaction in such a way that they offer to help you choose the right food, which is free from gluten; they explain their dishes to new clients. And those who are allergic to some foods can have something suitable for them—from seafood to bountiful veggies. The owner and his partner are dedicated to their work to ensure you are entirely satisfied with their services. Like the owners, you will love their friendly dog. 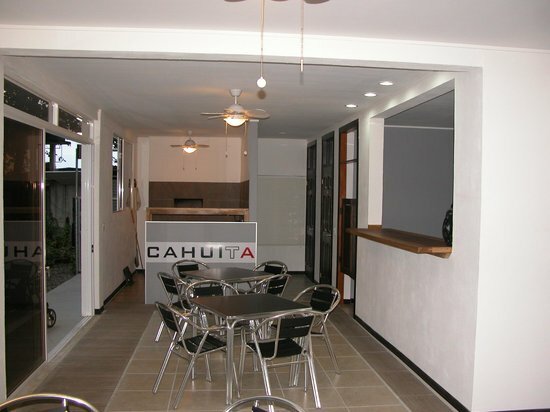 Based in Cahuita, Cafe Cahuita offers Costa Rican and foreign dishes. So, could you be in Cahuita, this restaurant, situated along the main street, would be a great spot for both your breakfast and lunch. The food comprises of crepes, banana chocolate, breakfast, tuna wrap, wheat sandwich, veggie wrap, etc. Given their excellence in breakfast options, breakfast combo is so delicious that you won’t have enough of it; you might as well visit the restaurant again. If you like, you can order another breakfast such as Gallo pinto. You can have an excellent lunch, too. The restaurant also has excellent home-made cakes and ice-cream—you will have an indelible experience out of the tasty ice-cream! Plus, you won’t want to miss out the great eggs. As for veggies, you won’t have a lot of options. Most of the time, you can have only fruits. Though you can order vegetarian sandwich blended with salad, it will not have great ingredients. The lettuce may look tired with some unhealthy tomatoes. So, the staff really needs to improve their options for veggies. Then, you are encouraged to order for bread, which is always tasty. If you are not satisfied due to the small portions, you can order for food or come back later. There are great beverages: you can have natural juices such as smoothies, which are so delicious; you can order ginger, a fresh drink. Coffee is also available. It is very delicious. Aside from juice, you could order fresh fruit. The chef’s speaking skills will surprise you. He even speaks German. So, if you are a German, you will feel at home with him. He is also helpful and kind. Situated on the main street, Cocorico is a restaurant excelling in Italian food. So, if you are interested in this food, you’d better stop by or head to this lovely place. It is suited for the entire family, including your kids. They are going to love the surprises awaiting them. The food comprises of pizza, fish, focacia, pasta, delicious home-made salad, etc. Every food has great flavor and quality. The pepperoni pizza is very tasty. The home-made salad comprises of a chicken with avocado; they also add some tomatoes, lettuce and the lasagne to the salad. With delicious balsamic vinegar added, you will feel you are eating the best Italian salad. You can also order focacia with olive oil. There are great beverages like beer, juice, and tasty cocktails such as mojito. The price is Affordable, which makes the restaurant worthy of your visit. The owner and the waiters are kind. They attend to your needs in a satisfactory manner. They are quick on orders; you won’t need to wait for your food. With any gesture you make, they come promptly and take care of you. They also have great movies to watch while you indulge yourself with their excellent dishes. As of 7pm, you can start watching their movies. Plus, the kids are allowed to choose what to watch on the flat screen. If you are looking for a beautiful restaurant excelling in pizza, El Girasol is the best restaurant to go to. 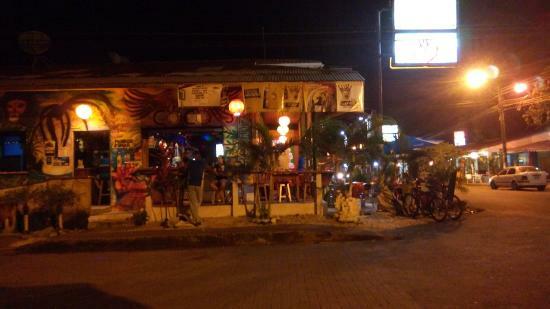 With this restaurant, you will be spared from the bland pizza offered by many other restaurants in Cahuita. Plus, it is suited for romance. The restaurant has great menu.The food comprises of local seafood, pizza dough, homemade pasta, cheese. You can order meat platter to which a spicy salami is added. It is wonderfully prepared by the chef. Despite the majority of the restaurant offering pizza, El Girasol outshines them all in this food. With their variations of pizza, you will have an unforgettable flavor. Yet, you would still love the crust offered in other places given that El Girasol does not excel in it. You won’t want to miss out on tiramisu. You could also enjoy foccacia. There is delicious bread on which is sprinkled sea salt. It is so tasty. Because every dish is flavorful, you might want to try all the dishes. You will love the pasta blended with seafood. In addition to Costa Rican dishes, you can try new foods. You can wine options: you can buy a liter or glass of it. The wine is so fantastic. It is better to make a reservation before you go for dinner.